There are three main types of ear-ring fittings, called "ear-wires", of these the screw type being the most common. These consist of a wire loop, at one end of which is a screw for tightening, with the means for attaching the plastics button or drop on the other end. 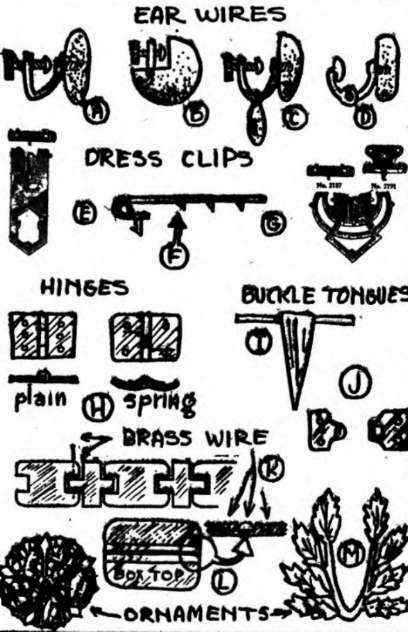 Some have provisions for only the button (66-A), others have an extra link for the drop (Figure 66C) Some of these are fastened with a prong, but the majority have a threaded screw built-in, and the assembly consists merely in drilling a properly-sized hole in the button and screwing it on the ear-wire. The "hinge" type of ear-wire is practically the same, except that the means of holding it on the ear is a friction-hinge (D), instead of a tightening-screw. The third type (B) is quite different, and is suitable only for use with plastics, whereas the other two types can be used with any ornamental material. This third type consists only of a short stud, with the ear-screw at one end and the attaching-screw at the other. There is no "loop", this function being performed by the plastics-shape itself. This shape consists of a thin section cut from a rod, with a quarter-section slice taken out. 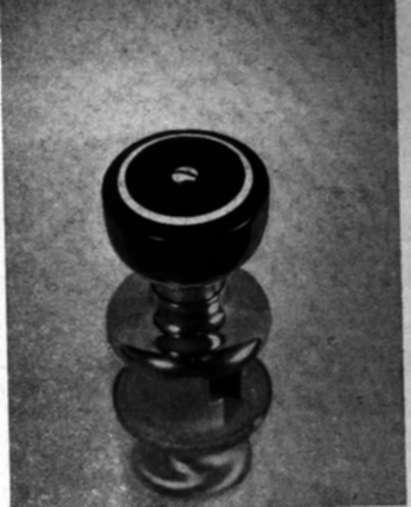 The attaching screw is driven into a hole drilled in one of the faces so formed, and the ear-lobe is squeezed between this screw and the other face of the piece of plastics (Figure 67). Fig. 66. Various standard commercial types of "findings" or metal fittings used on plastics costume Jewelry. PLATE 4C . (Above). Cigarette and Ash-Tray Set. Project 39. PLATE 4E. (Right). Clock. Project 9. PLATE 4E. (Below). "Bamboo". another popular design of car-red costume jewelry in plastics. PLATE 4F. (Left). Turning a pocket-lighter into a beautiful unusual desk-lighter. Two half-inch sheet pieces of contrasting color are both hollowed out on one side and cemented together with the lighter in between. PLATE 4G. (Right). Door-knobs of plastics never rust or dull, always have a brilliant polish and color. PLATE 4H. (Below). 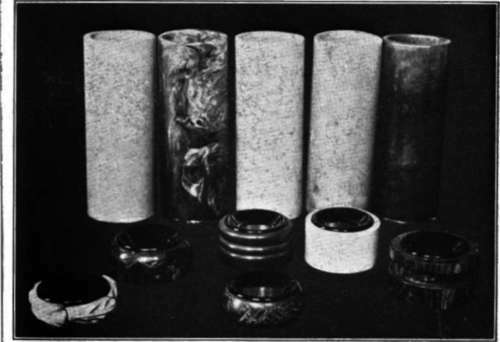 Playing with plastics — first is shown a group of miscellaneous bracelets, cylinder-sections, turned sheet, etc., in different colors, and then some lamps, powder and cigarette or jewel boxes assembled from these parts. A dozen different combinations can be tried in a moment or so with p!astics, and the finished result seen at once. PLATE 4I. (Above). 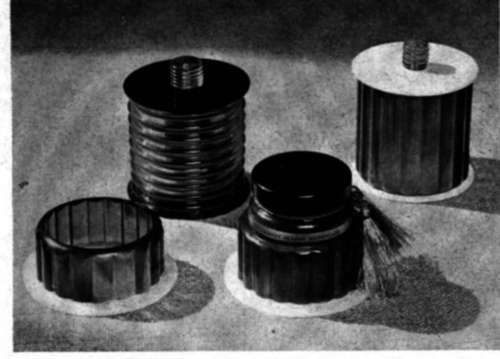 Another group of boxes turned from cylinder-stock, referred to in Project 41. PLATE 4J. (Below). 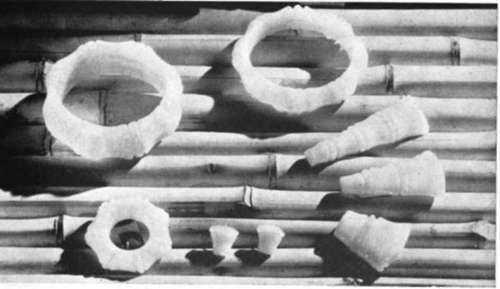 A group of turned ash-trays, and the raw material from which they were cut. 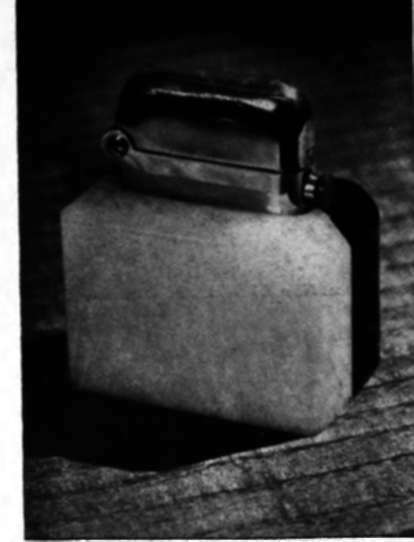 This ash-trays use the pressed metal inserts referred to in Project 12. PLATE 4K. (Left). 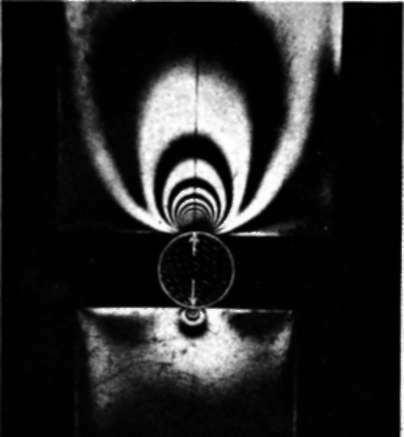 Photoelastic analysis of strains, using: clear cast resin shapes. PLATE 4L. (Right). 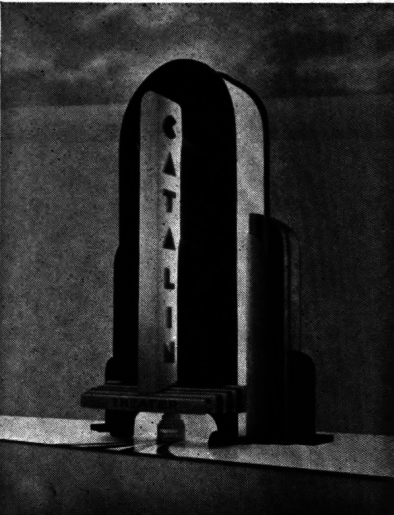 An example of a striking model made from plastics, the use of which for display purposes is growing- rapidly. PLATE 4M. (Below). Another popular item is signs, made from sheet stock or special castings. 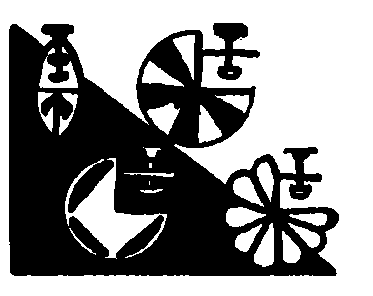 The lower group of letters are slices sawed from special shapes having these contours. Fig. 67. 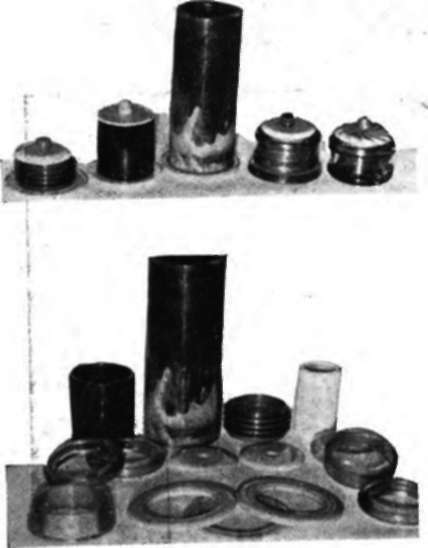 Ear-rings in plastics using the special type of ear-screw shown at "B" in Figure 66 and described in the text. The plastics portion consists merely of a 1/4" piece cut from a 3/4" or 7/8" rod, with a quarter-section cut oat. and such earring as desired is added. 66E-F-G). 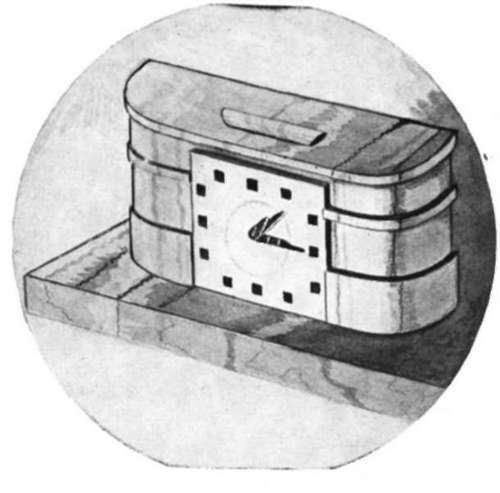 The short end is fastened to the bit of plastics, either with prongs as previously described, or with drive-screws. The joint between the two pieces is a spring-hinge which holds the two legs together, and the long leg has punched-out sharp prongs which clip onto the dress material, firmly clamping the ornament in place.